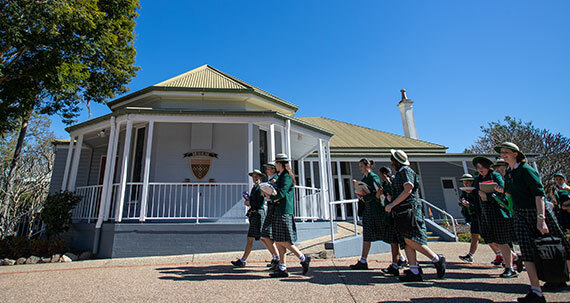 Brigidine’s house system promotes a sense of belonging and community for all the students and contributes to their wellbeing and care whilst at College. 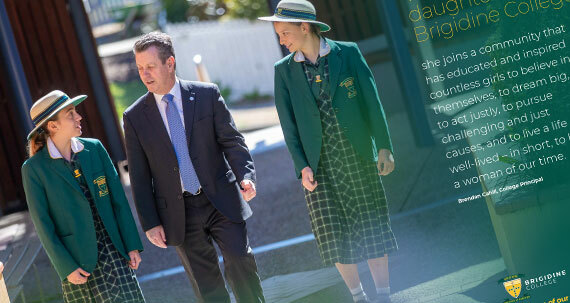 Upon starting at Brigidine, a student joins one of six Houses that becomes her family at school. Houses are led by a Pastoral Leader and include staff as well as students. Each student belongs to a Home Room within their House, which is led by a Home Room teacher. They meet with their Home Room for 15 minutes before school and 10 minutes at the end of the school day. Home Room is an important time of the day for our students as they can attend to day-to-day administration and care issues. 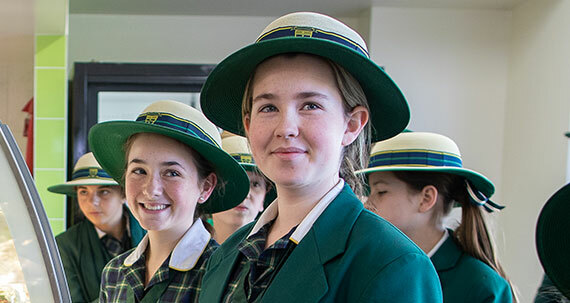 Each home room consists of students from Years 7-12, so every year level engages and interacts regularly at Brigidine. This builds a connection between staff and students, contributing to the settled and inclusive environment for learning that is characteristic of the College. Years 11 and 12 students serve as role models in each Home Room Group. The Home Room Group promotes a strong sense of community and meet daily for personal care and administration with the Home Room Teacher who is the teacher responsible for their group. The Home Room teacher is always the first point of contact for parents regarding any wellbeing issues relating to their daughters. Each House has an experienced and caring Pastoral Leader and, the College also has a Deputy Principal Pastoral, who all make up the College’s Wellbeing team. Chanel House is named after St Peter Chanel who is the patron saint of Oceania. He worked as a missionary in the Pacific until he died in 1841. Delany House is named after Bishop Daniel Delany who founded the Brigidine Sisters in Ireland in 1807. He saw the need for people to have the rights and benefits of a Christian education. Damien House is named after St Damien of Molokai. Born Jozef de Veuster, he went to the island of Molokai to work with lepers where he transformed the island into a community of respect and dignity. The students of Damien House are inspired by their patron’s example. De Porres House is named after St Martin De Porres, the patron saint of Social Justice. He is a great role model for all the good works that the students do here. This not only refers to encouraging everyone to achieve highly but also to participate with spirit and to strive for their best. Foley House is named after Mother Brigid Foley, the first College Principal in 1929. She served the Indooroopilly community in this role until 1933.